We live in a society dependent on technology and in the world of business, technology has helped in developing various systems to improve day-to-day business activities and satisfy both the consumers and the producers. Customers are always anticipating the endless wait in checkout lines. Sometimes if feels like the line has not moved for the past 10 minutes, but switching to a different line puts them at a risk that it might be even longer. 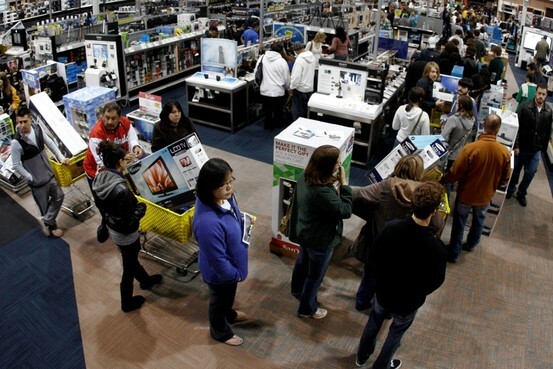 Is the item really worth waiting in line for? Is it easier to bail and just buy it online or at a different store? Numerous retail stores are trying to find new ways to get the shoppers through with ease as online shopping is increasing and as long lines threaten sales and loss of loyal customers. Kroger Co., a supermarket giant, has installed infrared cameras to aid in lengthy checkout lines in about 2,400 its stores. The cameras, which detect body heat and have been used in the past by the military for surveillance purposes, are paired with Kroger’s in-house software in order to decide the number of lanes that need to be open. Not only has this new technology allowed the stores to operate with lower labor expenses, but it also has reduced the customer’s average wait time spent in line. Competition in the retail industry is high and for companies to enhance the shopping experience and speed up service for each of their customers is a top-notch priority. Since the checkout lines are the last thing the customer experiences, the longer the time is wasted waiting in line, the less satisfied the customer is leaving the store. The ultimate focus for Kroger and any other business is its consistent customers, and according to Kroger’s surveys, the customers believe the checkout speed has been much quicker since the installment of the cameras. 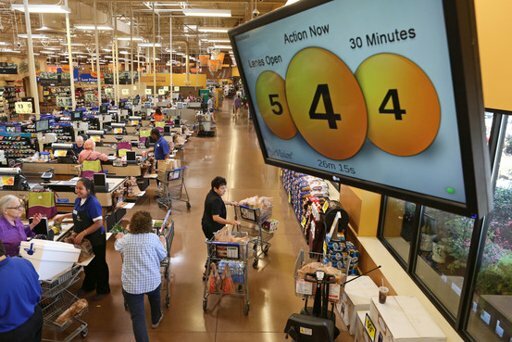 Kroger’s system, QueVision, which is now in about 95% of its stores, forecasts the length of time customers spend shopping based on the time and day as well as determines the number of lanes that need to be open. In addition, QueVision data shows the amount as well as type of items purchased by the times of day, and by adding more express lanes and boosting certain orders, Kroger has improved its operations as sales have increased by 13% in the past year. Kroger’s goal is to please their customers so that they enjoy their entire experience so much that they will come back again and again. They are gradually improving the QueVision software system to predict shopping behavior and fix the checkout lanes procedure in order to get the shoppers out more quickly and make the checkout experience the best that it can be. The most important way to create loyal customers is to understand their shopping trips and make them as personalized as possible so they will always come back. Making improvements is a continuous process. 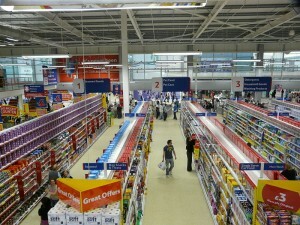 What other approaches could retailers take to better the overall shopping experience?